Boutique labels such as Anzic do wonders for music. They put us in touch with music we would never have heard before because we live vicariously the music of adventurers. Of those that I have come to know few are as wonderful as the bassist Bill Laswell for whom it would seem nothing is impossible when the idea is right as rain. 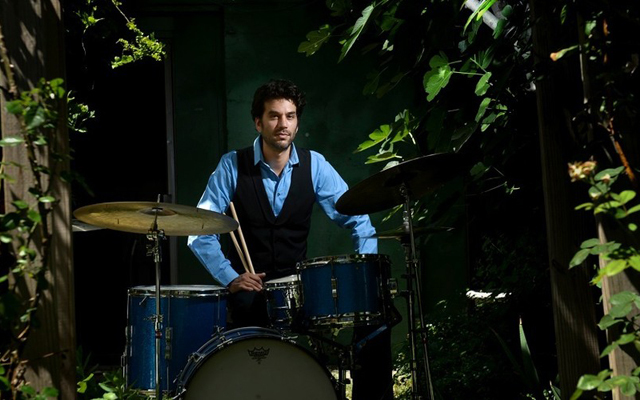 But there is another itinerant musician and he is the extraordinary Daniel Freedman, a drummer who seems naturally drawn to North Africa. Not only that, Freedman seems to have also taken the more scenic route on his travels doing what every serious adventurer must do and that is to travel on foot when he can and by bus when he cannot. I would hazard a guess that both would be a tall order when packing a full drum set. Nevertheless, what Daniel Freedman has achieved with two of his albums – Bamako by Bus and the 2016 one Imagine That is admirable to say the least. Listening to the latter you would think that Freedman was in fact an African drummer masquerading as a New Yorker, which is who he really is. It seems like an oxymoron to even suggest that. Daniel Freedman is native to North Africa. His music tells me that. I know of only one other musician – Adam Rudolph – who can qualify to be that. Freedman, like Rudolph is a percussion colourist of the highest order. The traditional drumset melts in his hands and is replaced – it would seem – with a rather large palette. From here Freedman dips what seem like brushes to paint his percussive masterpieces. 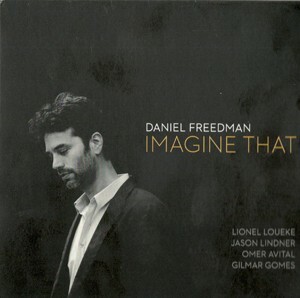 On both albums Freedman has assistance from Lionel Loueke who plays guitar and sings in inimitable style. The drummer is also joined by Angélique Kidjo, who sings on the wistful tune ‘Baby Aya’. Furthermore Daniel Freedman is a master of polyrhythms. It is no wonder that he can relate so organically to African rhythms. This is something truly wondrous. His music literally marches to the beat of Africa triumphant; the whirling, swirling gods are discharged and rise in billowing clouds of sacred incense, while the dazzling virtuosity of the drummer makes for exuberant song after song after song. His music demands virtuosity from the other performers as well. Each must also adjust to the nuanced moods and emotions of the music. This is facilitated not only by Freedman and Loueke, but also by the masterful bassist Omer Avital and the Brasilian percussionist Gilmar Gomes. Of course, being that the music comes from deep within the soul of Daniel Freedman, it enters our consciousness in a shroud of sacredness. When something like this happens you are transported to an ethereal place where everything that matters is understood. This might seem an old fashioned, but then all music that comes from the heart and not the lips is. And that is what energises this recording in no uncertain manner as well as and listener also magically becomes party to a great musical adventure too. Track List: Determined Soul; Baby Aya; Big in Yemen; Codex; Mindaho; Love Takes Time; Eastern Elegy; The Sisters Dance. Personnel: Lionel Loueke: guitar and vocals; Jason Lindner: piano and keyboards; Omer Avital: bass and oud (3); Gilmar Gomes: percussion; Daniel Freedman: drums; Angélique Kidjo: vocals (2).